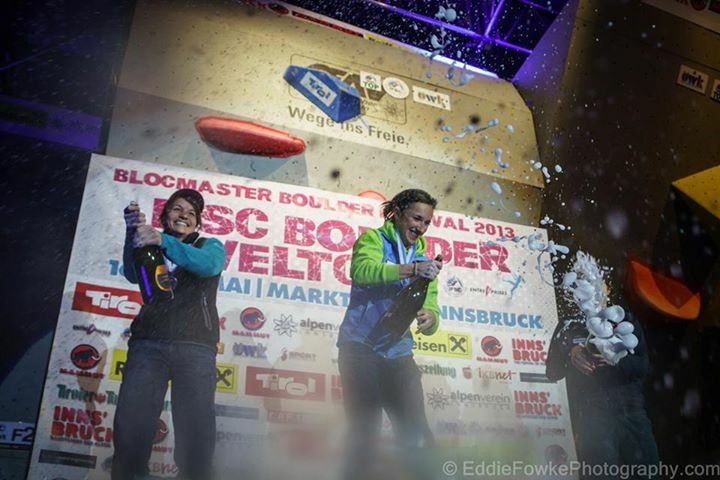 The World Cup in Innsbruck was definitely the highlight of my season. 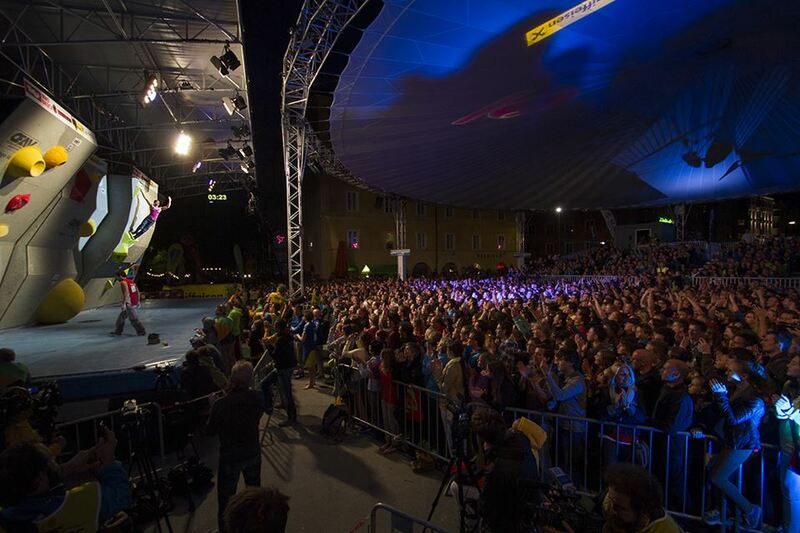 It is very special to climb in front of my home crowd, especially if the crowd is as big as the one in Innsbruck. My goal was to reach the final and then to climb strong and give my best. I was happy to qualify for finals alongside with my friends Jule Wurm and Melissa LeNevé. On the men's side Kilian was able to qualify as well, which meant that the two of us had already reached our "final-goal". At 7.30 pm it was time for the presentation. It was amazing to see this big crowd.... I was overwhelmed and happy that I could climb four more problems in front of this audience. The first problem started with a jump onto two slopers. I wanted to find a safe way to hold them, but before I managed to do that, I found myself back on the mat. Sometimes it is better to stick to one's style, therefore I did the move rather quickly in my next attempt, which worked out just fine. I was able to stick the first move and made my way to the top. Problem number two was a slab, which looked like a lot of fun. I stuck the jump straight away and had the two small screwholds in my hands. I did the last move dynamically and held the top with one hand for a second.... then my foot slipped and I was back on the mat. Oh no.... In the next try I was able to match the top hold. I knew that this mistake could cost today's victory, since Jule was climbing very strong. She had flashed the first two problems and did the third one in her second go. I managed to flash the volume-wall. It all came down to our last problem. 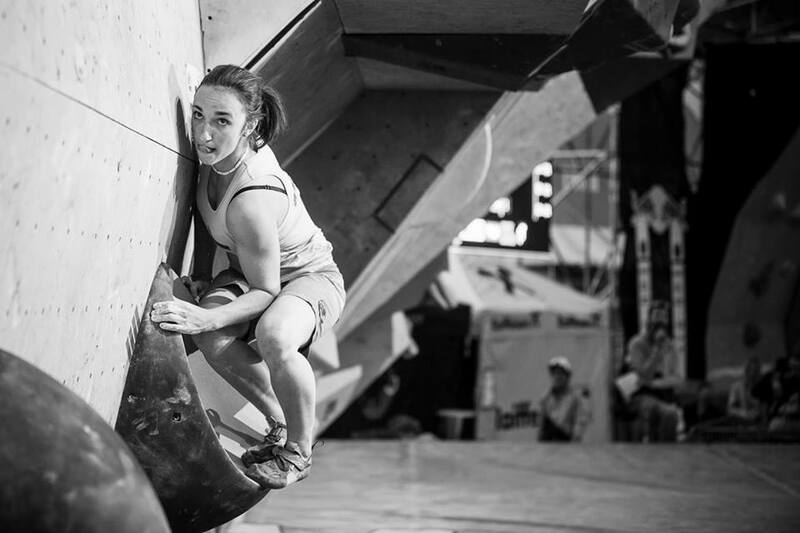 Jule secured her first world cup victory by flashing the last problem. I flashed it too, which meant I had earned the silver medal. The podium was completed by Akyio Noguchi. The men's event was also won by a member of the German team, Jan Hojer. He climbed four problems in less attempts than Dmitrii Sharafutdinov, who climbed to silver. Kilian came third. My congratulations go to Jule and Jan who climbed very strong, deserved to stand on top of the podium and got a shower of champagne :) . 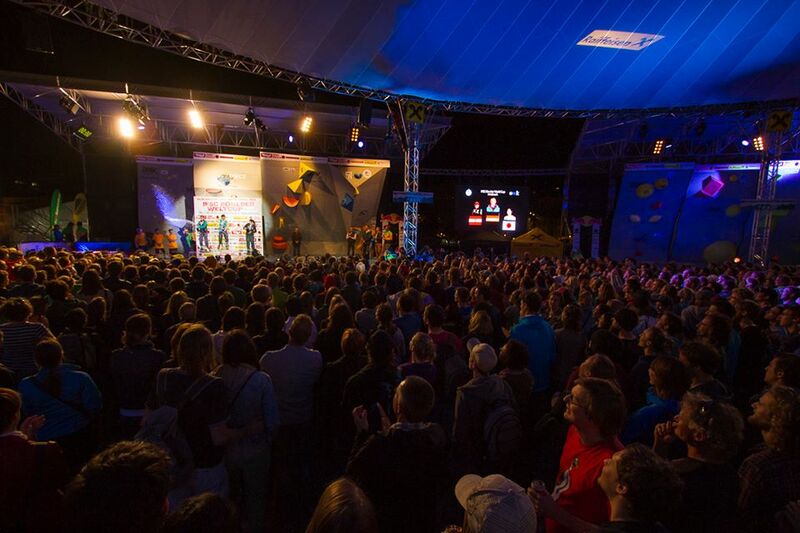 It was a great experience to climb in front of this huge crowd in Innsbruck and I owe my thank you to the organizers of the event and also to everyone who came along to cheer. 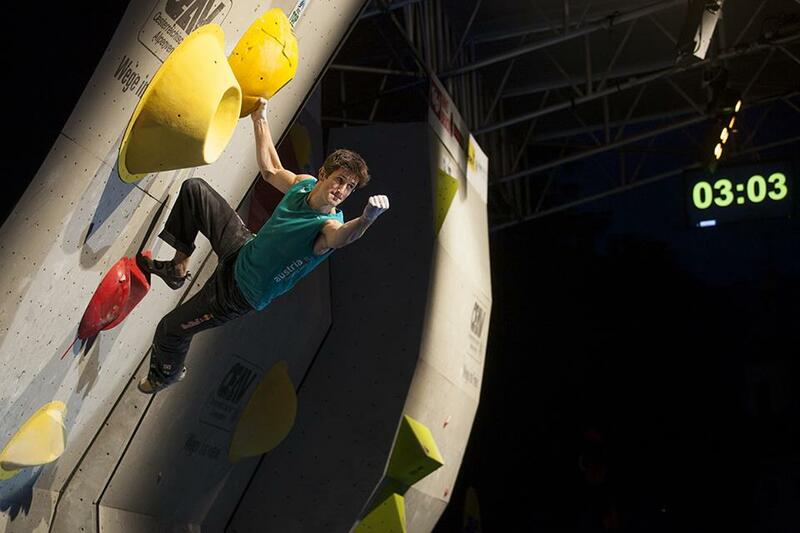 I had a really good time climbing the final problems and feeling the energy of the crowd. Most of the competitors spent the night dancing, laughing and having fun. At events like this it becomes clear to me why climbing is such a unique sport. 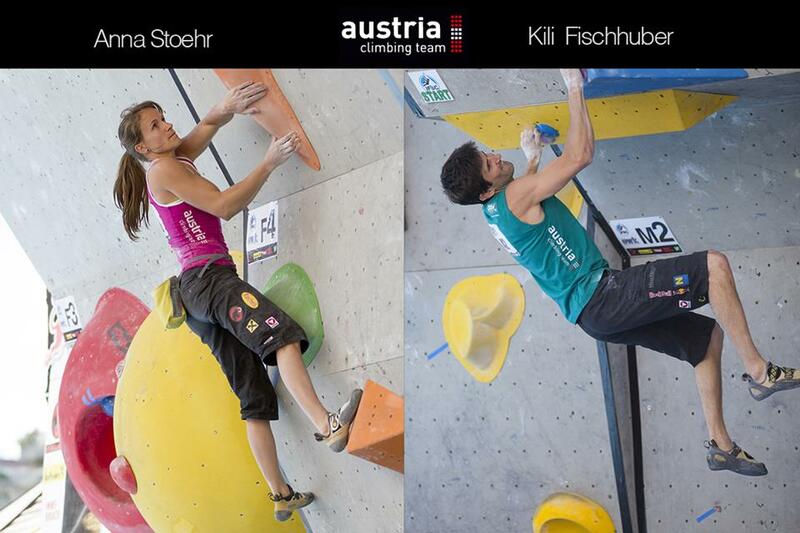 Posted in Wettkampf and tagged with jule wurm, jan hojer, austrian climbing team, boulder worldcup, innsbruck, blocmaster 2013, kilian fsichhuber. May 19, 2013 by Anna Stöhr.